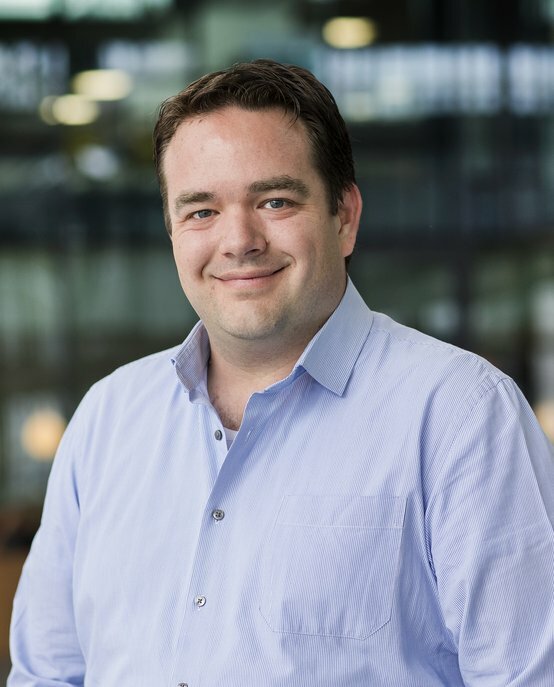 Richard Lopata is an Associate Professor at the TU/e research group Cardiovascular Biomechanics (department of Biomedical Engineering) where he leads the PULS/e lab, Photoacoustics & Ultrasound Laboratory Eindhoven. The PULS/e lab facilitates research on technology development, such as ultrasound functional imaging, photoacoustics and image-based modeling; and more applied science, in particular ultrasound-based biomechanical modeling for improved clinical decision making. In his research, Richard Lopata aims amongst others at the ultrasonic characterization of vulnerable arteries, such as aneurysms and plaques. A patient-specific biomechanical model of these arteries may help to better assess rupture risk, and ultrasound has the ability to provide highly detailed information on plaque geometry and distensibility. A second research line concerns the development and testing of 2-D and 3-D ultrasound imaging techniques for the assessment of cardiac function. The focus here is on acquisition, algorithms and methods that process the (raw) ultrasound data to produce measurements, needed in the clinic, and on methods to validate these measurements. These functional imaging techniques include motion/strain imaging, flow imaging and multi-perspective ultrasound imaging. Recent efforts are aimed at the assessment of cardiac function during exercise, together with USONO (spin-off company). Photoacoustic imaging techniques, aimed at skin disease and plaque vulnerability assessment, are developed and validated in a preclinical setting. Close collaborations with both clinical and technical partners were established over the years, paramount for a successful translation of these techniques from bench (lab) to bedside (clinic). Richard Lopata studied BioMedical Engineering at Eindhoven University of Technology (TU/e, The Netherlands) and received his MSc in 2004 on pharmacokinetic parameter estimation in dynamic contrast-enhanced MRI. From 2004-2009, Richard performed PhD research at the Clinical Physics Laboratory of Radboudumc (Nijmegen, The Netherlands), resulting in his PhD thesis on '2D and 3D Ultrasound Strain Imaging: Methods & In Vivo Applications'. The following two years,he was a postdoctoral researcher at Maastricht University Medical Center (The Netherlands) and TU/e. In this period he was awarded a NWO-TTW VENI grant (2011). In 2012, he became an assistant professor at TU/e. He works at the TU/e research group for Cardiovascular Biomechanics (department of Biomedical Engineering). Lopata founded the Photoacoustics and Ultrasound Laboratory Eindhoven, PULS/e. in 2014. In this period, Lopata was granted several EU-funded grants (FP7, H2020) and national grants. In January 2017, he was appointed associate professor, receiving an ERC starting grant later that year. He has graduated over 35 MSc students and 1 PhD student, and is currently supervising 9 PhD students, two post-docs and 10 MSc students.